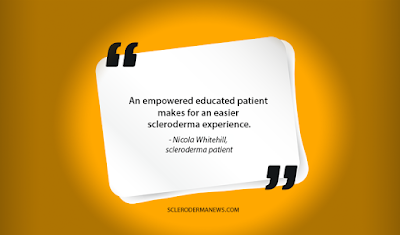 Diagnosis made from skin biopsy. 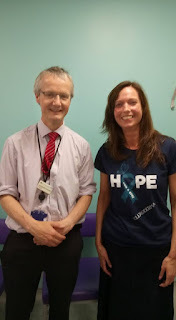 Follow up muscle biopsy and very high CPK confirming muscle break down. 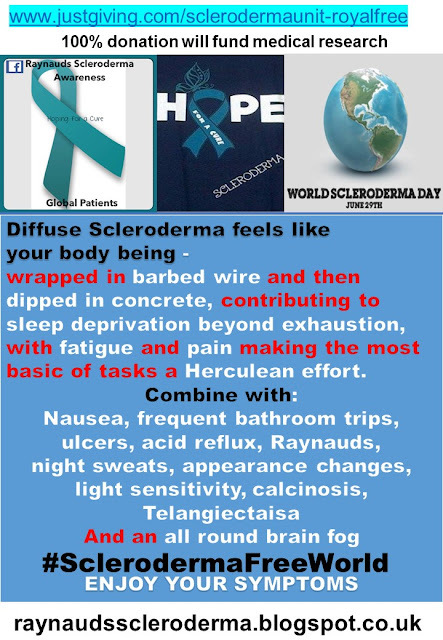 Being in remission I am only dealing with the damage done. Bad heart with 2 meds and pacemaker. 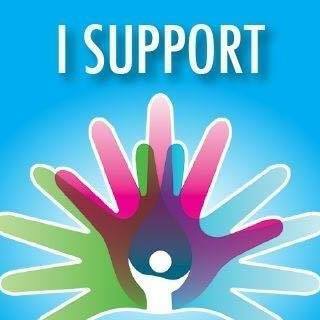 Hands just adapting and overcoming, stretching. 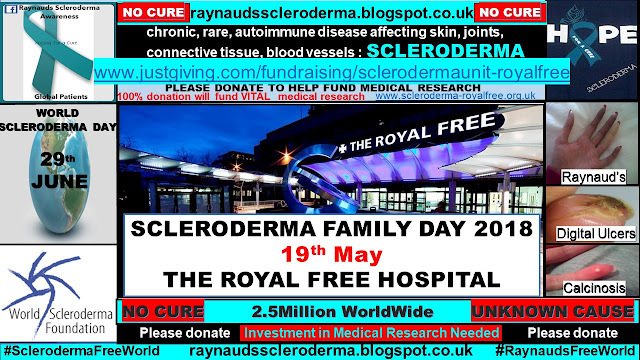 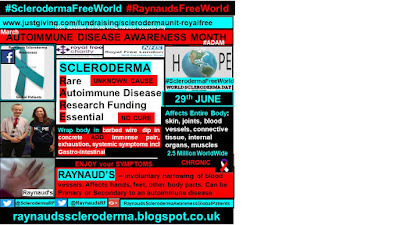 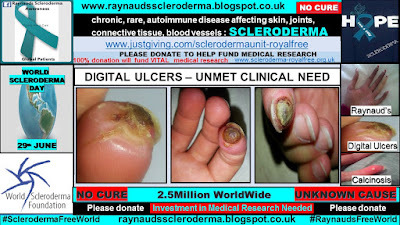 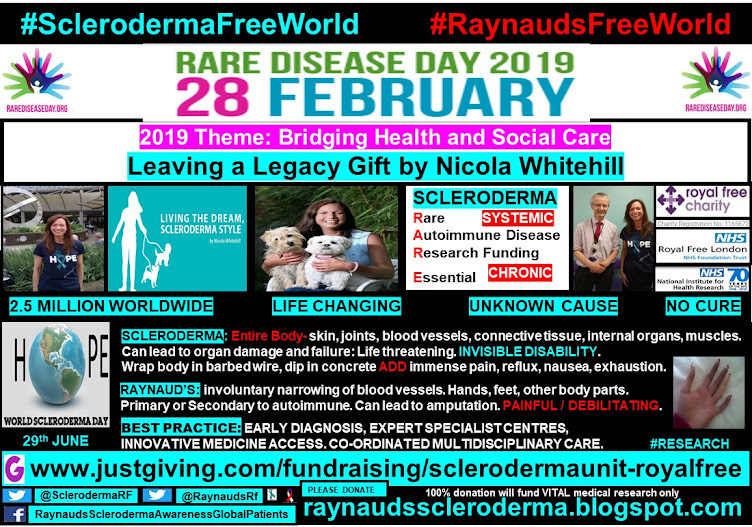 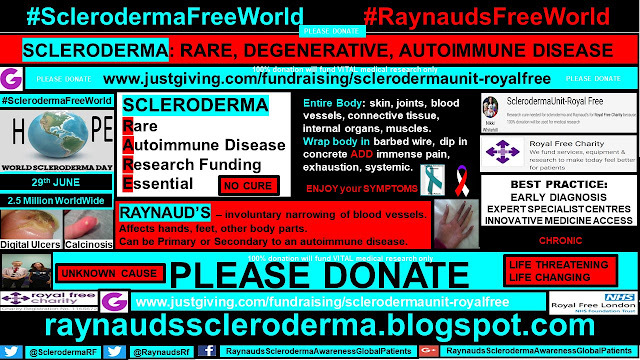 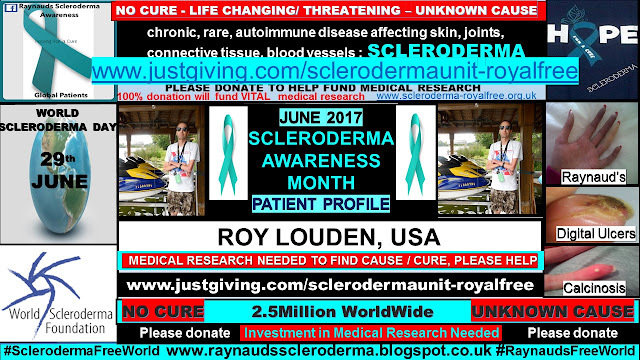 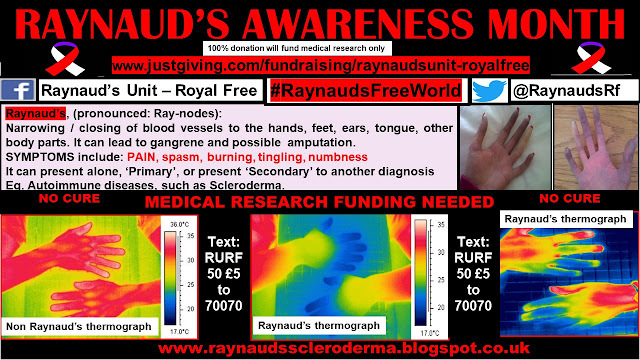 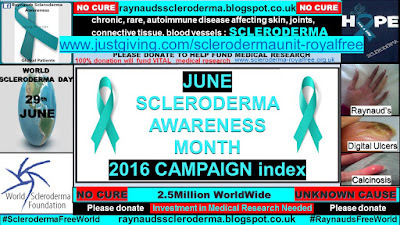 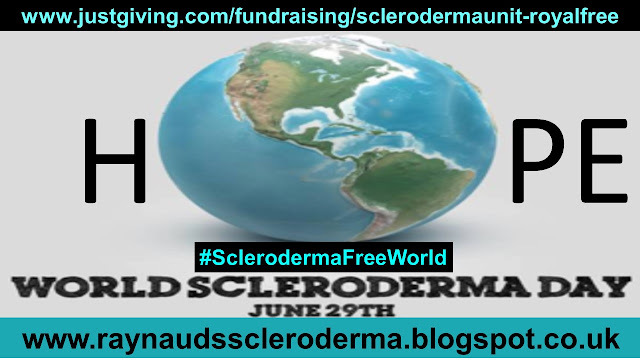 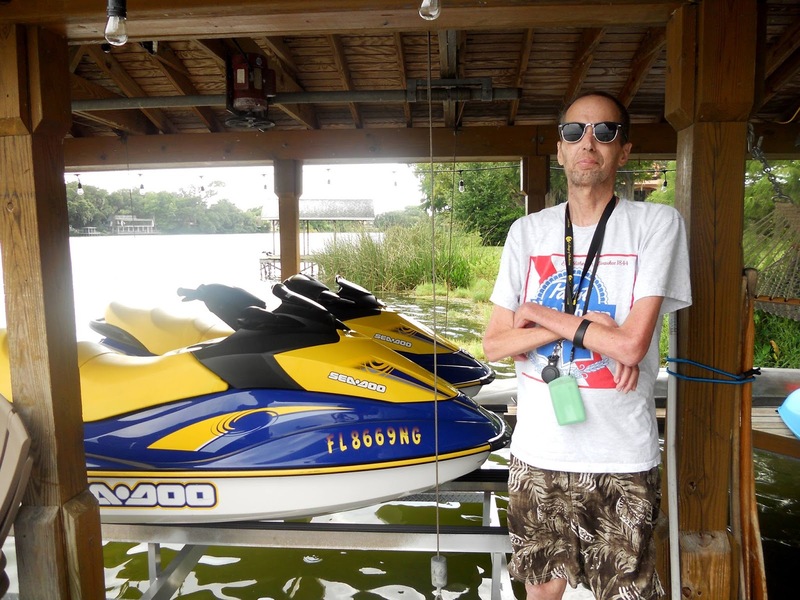 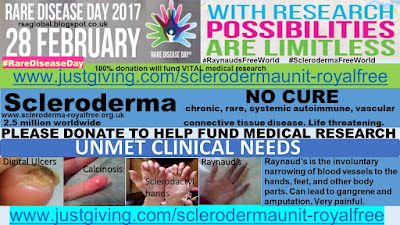 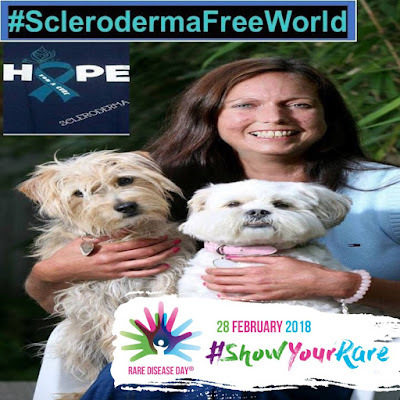 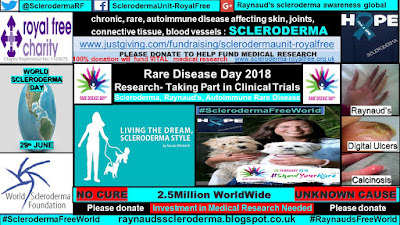 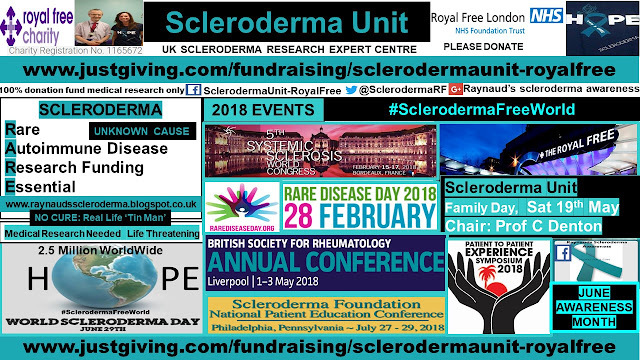 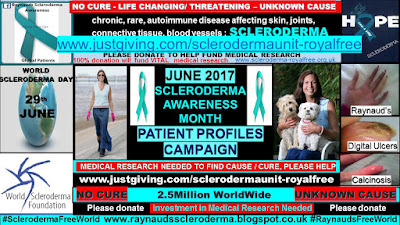 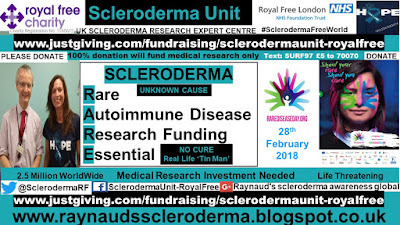 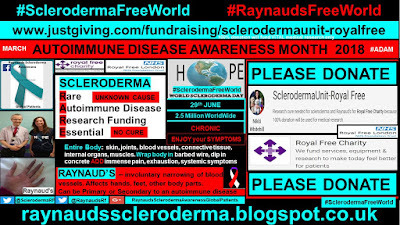 Huge thanks go to Roy for sharing his scleroderma reality and experience for scleroderma awareness month.